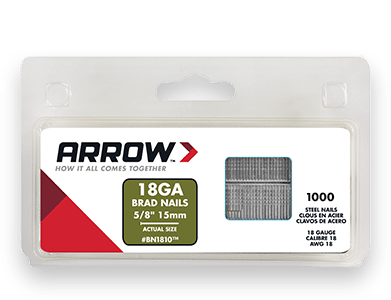 You’ve got your project nailed with brads and nails from Arrow. 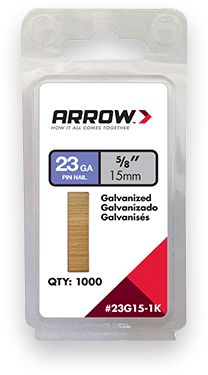 Made to the same exacting specifications as our world famous staples, Arrow brad, pin, and angled nails are optimized for use in Arrow tools, but work equally well with most other tool brands. Available in popular lengths and sizes. Accept no substitutes – use Arrow nails for all your projects.